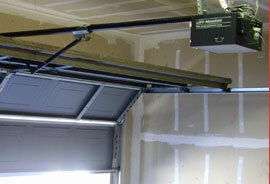 At Dynamic Door Service Today we don’t like finding our customers stuck on the wrong side of their garage door. That is why we’re committed to resolving all types of door problems – no matter how simple or complex they may be – promptly and reliably. With expertly trained and knowledgeable technicians available around the clock – that’s right, 24-hours a day, 7-days a week – you can count on us providing you with the highest quality garage door repair Phoenix Metro Areas services whenever you need us most. As homeowners ourselves, we understand the frustration you may be feeling when you find that your door is malfunctioning. That’s why we’re committed to providing you with the best repair services, no matter the hour. Whether your door is leaning to the left; it’s become so noisy that it’s irritating the neighbors; or your opener refuses to operate, help is only a phone call away. We service all makes and models. While the advantages of running your own business are numerous, there is also much stress associated with it. So why add to that stress by working with a door that just doesn’t seem to want to behave itself? In additional to our residential services (mentioned previously), we are proud to provide business owners, such as yourself, with some of the most reliable repair and installation services in town. We service all components of commercial garage doors including its springs, rollers, cables, operators, hardware, pulleys, and so many more. 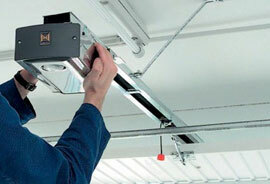 For fast, affordable commercial garage door repair services you can count on, choose Dynamic. Don’t let them ruin your day! 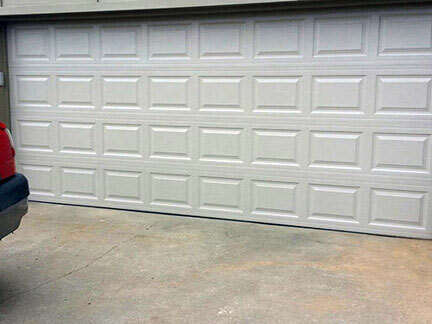 Anytime you require garage door repair services in the Phoenix Metropolitan area, don’t hesitate to contact the professionals at Dynamic Door Service Today – 602-335-1077. 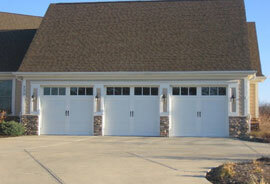 We look forward to assisting you with your residential or commercial door problems today.